Association of Canadian Travel Agencies - Travel MarketPlace West - Learn from the Industry's Finest! We are bringing together the industry’s top experts to teach you the tricks of their trade! Come network with industry power players and meet suppliers who want to partner with you — all while furthering your professional development. and many more...Click Here to view the full agenda! Want to stay ahead of industry news and conference updates? 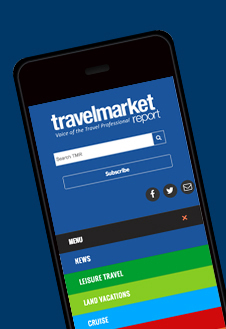 Click here to subscribe to Travel Market Report, the only daily online travel trade publication that serves as the Advocate and Voice of the Travel Professional.